Mike Memme and his partners at Mountainview Homes have a quandary. Their company has been offering the Energy Star label on homes in the Niagara Region as an upgrade option, with about 20 percent of buyers choosing it. 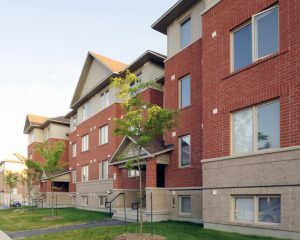 Now that the Ontario Building Code mandates that all new homes be constructed to EnerGuide 80 (the same rating as the previous version of Energy Star), Mountainview and other Energy Star builders must decide whether to make the step up to the new version. All Energy Star homes registered after June 30 must to be built to EnerGuide 83, or 20 percent more efficient. 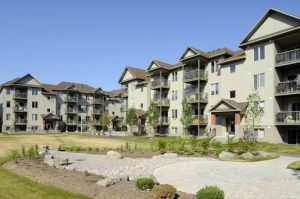 Memme knows how Mountainview can achieve the new Energy Star standard (e.g. with rigid foam insulation, more efficient hot water tanks, drainwater heat recovery pipes) and that it will add $3,135 to the cost of their new homes. “As the new (Energy Star) version is finalized, we are going to try pushing it and see where it goes,” Memme says. Will other Energy Star builders make the step up to the new version? McBurney says Natural Resources Canada (NRCan) has been “very generous” with its transition period to the new version. “It’s not like the clock’s ticking. Builders have two years and that eases the pain. Over the next two years, our push is to work with Energy Star and other builders to get them to the next level,” McBurney says. EnerQuality has started offering workshops on the new generation Energy Star and in late May, will hold a forum showcasing new technologies and techniques, which will be helpful. He says Energy Star builders have found that there are benefits beyond marketing to building to a higher standard of quality,such as customer satisfaction and builder reputation. 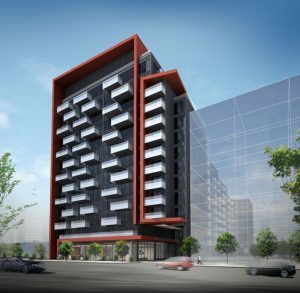 The Minto Group will main its commitment to Energy Star as a standard for all its lowrise homes and LEED for its highrise projects. But the issues are not insurmountable, say other experts and builders. Air barriers, which typically have been on the inside of homes, will move to the exterior with rigid foam insulation, says Oding. Mason Homes, one of the province’s first Energy Star builders, is using what it learned through an Enbridge market transformation program (offered to 21 leading green builders in Ontario) to help it get to the next Energy Star version for a townhouse project in Barrie. A half-day session to identify issues was followed by a full-day charette with experts in everything from storm ponds to solar panels to mechanical systems. “It was really powerful and unbelievably interesting to have that kind of brainpower in one room helping you,” says Sean Mason, director of sales and marketing for Mason Homes. Mason says a result of the charette, his company is looking at technologies such as new air-source heat pumps, rigid foam insulation and how they lay out their lots on a site to help with the building form. 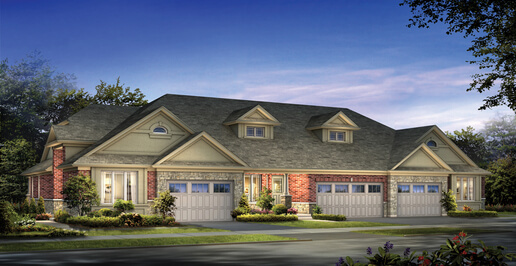 The Energy Star leap up won’t be a problem for Empire Homes, which builds Energy Star as standard in its lowrise developments, including in Binbrook, Breslau and Brantford. “We are already at the next generation of Energy Star with our Eco2 packages that we have been offering for the past three years,” says Gary Botelho, Empire’s home energy specialist. The homes come with features such as meters to track real-time energy consumption, drainwater heat recovery pipes and compact fluorescent lights. “We’ve played with increased R values and new mechanical systems and done Discovery Houses. Right now, we are partnering with an insulation manufacturer and testing exterior air barriers with rigid foam,” says Botelho. While the new Building Code will strive for a similar EnerGuide rating as the old version of Energy Star, there are some key differences, according to Andy Oding of Reid’s Heritage Homes and chair of the OHBA Technical Committee. Oding says when the new Building Code came in, there were some last-minute discussions to get the Ministry of Housing to implicitly spell out that Energy Star houses meet the new Code. Electronically Commutated Motors operate with as little as 80 watts of electricity and use up to 75 percent less energy than standard fan motors. This technology is simple, has no moving parts and is not expensive. It recovers heat from hot water going down the drain and transfers it to warm cold water before it goes into the water heater. A pipe can reduce household energy use by 5 to 10 percent. Rigid foam insulation has several advantages for insulating exterior walls. It is highly moisture-resistant and will not harbour mould. And it is very effective in achieving greater airtightness. The greater choice of glazing and glass types allows builders to choose products to suit specific climate zones or house styles. These super quiet fans with DC motors are motion activated and very energy efficient. Two programs delivered by EnerQuality, LEEP (Local Energy Efficiency Partnership) and TAP (Technology Adoption Pilot) have identified the most promising emerging energy-related technologies. Through LEEP, developed by Natural Resources Canada’s CanmetENERGY, member builders of HBAs throughout the province learned about emerging technologies and practices and chose those they found most useful. The follow-up TAP phase facilitated application of the technologies in the builders’ Discovery Homes. The builders have identified a ‘Winners’ Circle’ of next generation technologies and practices that will be showcased at a builder forum and trade show May 30. Some of the identified products include Insulated Concrete Forms, passive solar design, exterior insulated sheathing, combination heating systems, zone heating, etc. The OPA offers financial incentives to builders who install electricity-saving features in their new homes, such as all-off switches, high-efficiency furnaces with ECM motors, Energy Star-qualified air conditioners, lighting, etc. Builders can choose prescriptive, performance or custom paths. For the prescriptive path, incentives range from $3 to $50 per feature. Houses that achieve EnerGuide 83 or 84 are eligible for a $500 rebate, while those that are EnerGuide 85 or better are eligible for $1,000. Enbridge provides free drain water heat recovery pipes to builders and is sponsoring invitation-only charettes for 21 Ontario leading green builders. It also pays $100 incentive to builders for every Energy Star home they build. Union Gas has ended its drain water heat recovery pipe program but plans to announce new builder incentives this year. 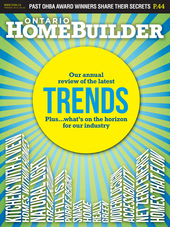 To purchase a copy of Ontario Home Builder – Trends 2012, click here.